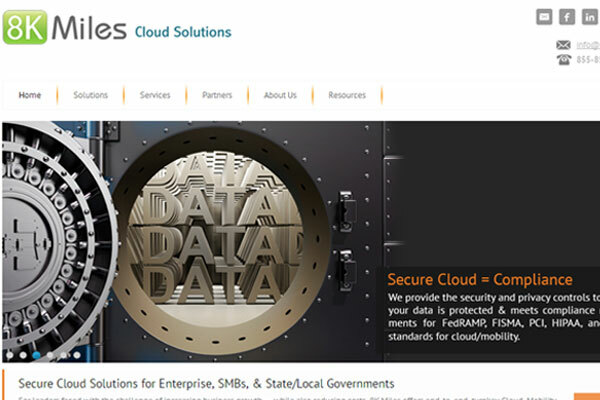 8KMiles Software Services Pvt Ltd, a California-headquartered cloud computing company founded by Indian origin entrepreneurs, has acquired FuGen Solutions, Inc., a provider of hosted PaaS-based identity federation services, for $7.5 million. Post-acquisition, FuGen will become a subsidiary of 8KMiles. FuGen founder and CEO Lena Kannappan will join 8KMiles as COO and serve on its board. He will continue to lead the market in identity federation for the cloud, while focusing on building other 8KMiles platform capabilities to broaden its overall cloud solutions offering. Through the acquisition of FuGen, 8KMiles is looking to expand and build on its cloud and big data security services and solutions to meet the growing security and compliance requirements of large enterprises and government agencies, said a press release. The purchase includes the acquisition of FuGen's Cloud Identity Broker and Multi-domain Identity Services Platform (MISP), an on-demand partner onboarding platform. "The acquisition of FuGen Solutions will enhance our security services platform in the cloud, while offering innovative, complementary security measures such as identity and access management to help streamline authentication across multiple cloud-based business systems," said Suresh Venkatachari, chairman and CEO, 8KMiles. According to Venkatachari, the company is also planning other key acquisitions later this year. Founded in 2007 by a group of Indian-origin entrepreneurs, 8KMiles is offering end-to-end, turnkey mobility/big data solutions to enterprise, SMBs and state/local governments. The company has partnered with Amazon Web Services, Eucalyptus, NCPA, Sophos, Windows Azure and Exceedium. FuGen was set up in 2007 by Kannappan. The company is headquartered in California. FuGen enables consumer service providers and businesses to integrate their partner communities more securely and rapidly. The firm has an offshore development centre in Chennai.